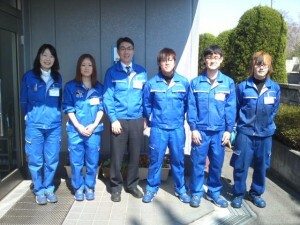 2011/04Article List | YAMAGUCHI NUT co.ltd. We welcomed 5 new employees this year. President Yamaguchi sent a word to them that he hoped all of them would become important person to Yamaguchi Nut and moreover to Japan.